The range of the white-tailed deer covers almost all North America. They are most common everywhere east of the Rocky Mountains. From the Rockies west, mule deer and black-tailed deer dominate, but whitetails are still found in river bottom areas and lower foothills in many western states. Whitetails are also found in many other areas of the world where they have been introduced, including New Zealand, Finland, the Czech Republic, and Serbia. Record books recognize a wide variety of subspecies, from Coues whitetails to Texas whitetails to northern whitetails, but the differences are largely in size and geographic region. Northern whitetails of Canada and the northern Midwest are the largest in body size; body size tends to get smaller the farther south you go, although antler size does not necessarily do the same, as some Texas whitetails have antlers that rival their northern cousins. Guided whitetail deer hunts start at about $300-$500, depending on the location and duration of the hunt. Archery and muzzleloader hunts, where the chance to harvest a trophy is smaller, are typically cheaper. Prices increase with trip duration, the work that the outfitter has put in to improve the trophy quality and abundance, or the need to travel into remote areas, but most will cost under $3,500. 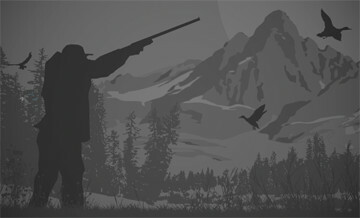 The hunts offered around the $10,000 mark on BookYourHunt.com are mostly combination hunts with other animals, or calculated for a party of 3-4 hunters. When most Americans say “deer”, they typically mean “whitetail”, but there are other kinds of deer in North America. How many are there? Three? Six? Fifty-eight? Eighty? Select your answer and read our blog story to check yourself. Don’t forget that no matter how many kinds of deer there are, each of them represent an exciting opportunity for a challenging hunt. April 26, 2018 How Many Kinds of Deer Are There in North America? When to hunt White Tailed Deer? Whitetail deer hunting season is generous, beginning in August or September in most states and provinces, and often lasting well into the next year. However, the greater part of it is typically archery only, with the modern firearm seasons limited to a few weeks in October-November. This season usually coincides with the rut, which is generally supposed to be the best time to hunt white-tailed deer. Whitetails are hunted with a variety of methods depending on terrain, habits, and local laws and traditions. Most common is stand hunting, where a hunter watches from a likely area, either from a treestand or ground blind. In some states such as Texas and Michigan, baiting is legal, and hunters may be positioned near a feeder or bait pile. Driving is also a traditional method of deer hunting, especially in Eastern states that are thickly wooded. Still-hunting and spot-and-stalk are the most challenging and rewarding methods. White-tailed deer are by far the most common ungulate in North America, and one of the world’s most popular animals to hunt. There’s a reason for this: While whitetails are extremely abundant throughout most of their range, they are wary and very challenging to hunt. Some hunters pursue whitetails to put healthy, organic, local meat in their freezer; others - for the challenge of outsmarting an old, mature buck, while for someone else the most important part of it is being in the same old autumn woods that their ancestors hunted for generations. But in any case a white-tailed deer hunt is a continuation of the tradition that is as old as America itself. This hunt is 2 days and 3 nights including lodging and meals. This overlaps the second hunt of the season conducted on our properties. You will have the opportunity to hunt two days with a modern muzzleloader from previously unhunted stands. Hunters will hunt scouted areas throughout our properties that are producing the most recent mature buck sign that include up to date trail camera photos. Hunted areas include fresh harvested soy bean fields, hidden food plots and white oak bottoms. Hunters can expect to hunt from comfortable ladder stands, lock-on stands and/or shooting houses. For this hunt, you'll be allowed to harvest a total of one mature buck of 3.5 years of age or better and one doe. Please inquire on available date before booking!